Once again, we find ourselves in midst of the Minnesota State Fair, and that means fair food. Every year editor, author and all-around foodie James Norton gathers a crew of writers and photographers from the online food magazine The Heavy Table to run the gantlet of fair food on the event's first morning. The crew of 12 or so sampled 40-some different items, and he's got some thoughts about the way food and drink at the fair are evolving. 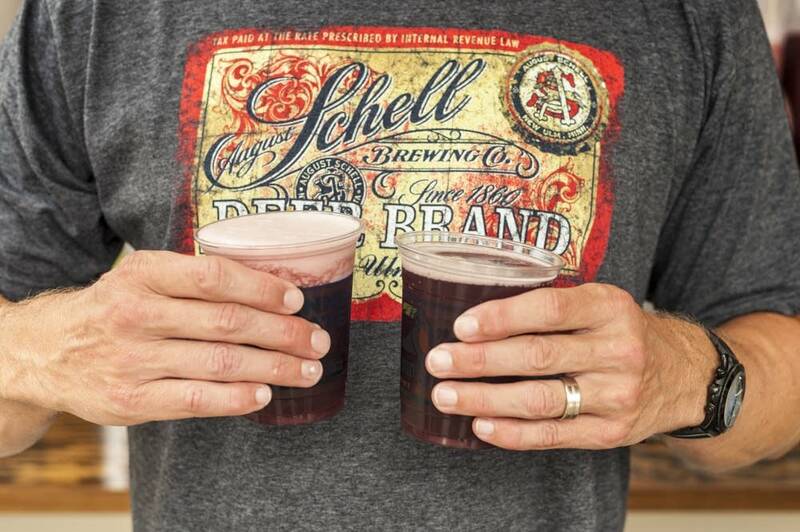 Steven John: It seems as though the flood of craft beer at the State Fair shows no sign of abating. What's driving it? 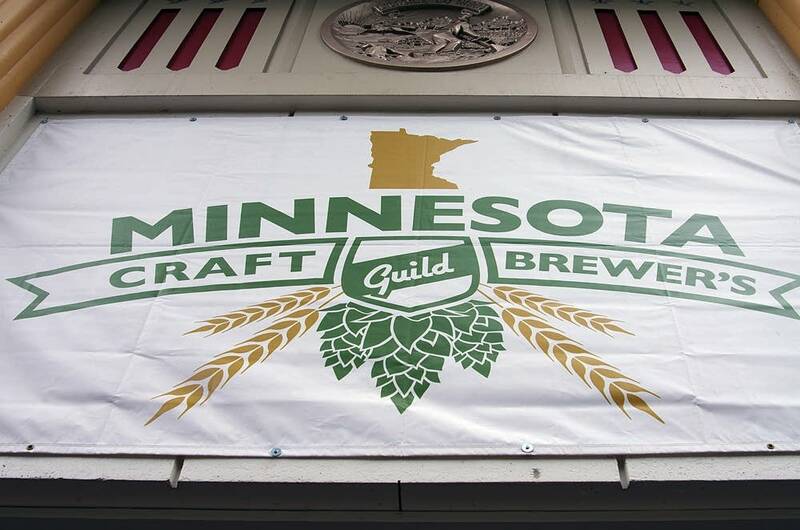 James Norton: First of all, I think Minnesota beers can stand shoulder-to-shoulder with beers around the world in a way that our wines cannot at this point. And, they really convey a sense of place that's perfect for the fair's mission. When you start throwing around words like "craft" and "artisan," I think there's a danger that you start alienating people. However, I also think there has been a real emphasis on beers that welcome everybody and fit the setting of the fair. For example, there's the Flat Earth S'More Beer at Giggles Campfire Grill. Sounds like a trainwreck, but it's actually really good - gentle notes of cocoa and coffee, and not much aggressive sweetness. Schell's Grainbelt Blu, a blueberry beer served with an optional and highly recommended frozen head of foam, is also quite nice. Instead of a pile of sugar, the blueberry flavor brings tartness and a point of view to an otherwise very low-key summer beer. The Lift Bridge Mini-Donut beer sums up a lot of what's best about the fair in a glass. And Summit Oatmeal Stout gelato and Mancini's was our favorite thing we ate - perfectly balanced, not bitter, a great mix of ice cream and beer without diminishing either. John: Are we seeing a new breed of "foodie" vendors at the fair? And, if yes, what does that mean for the sorts of food available? Norton: I think we may be beginning to pivot away from sheer novelty - by which I mean, first and foremost, bacon in places where we don't expect bacon - toward a higher caliber of food available in more places. And by higher caliber, I don't mean fancy - I mean that there's an effort to bridge the gap between the mood at the fair and the trends and demands of the market. If you look at the newly opened LuLu's Public House and the Blue Barn, you can definitely see an effort to split the difference between gourmet and populist fare. 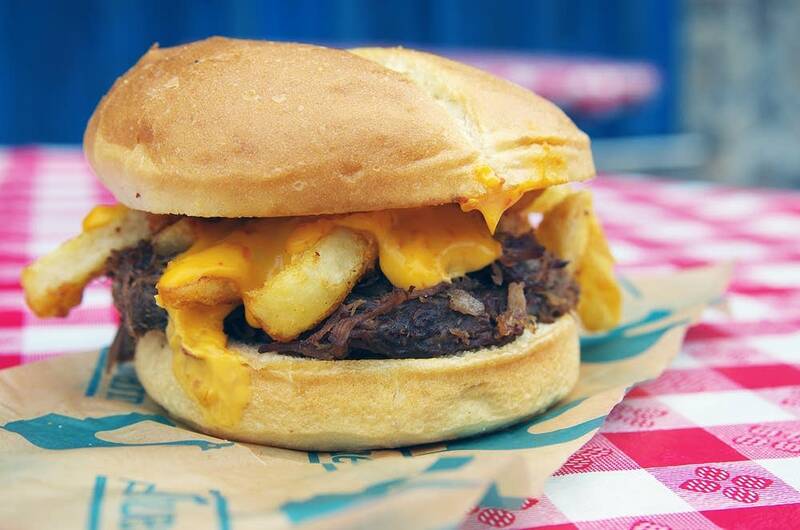 For example, we loved the Blue Barn's Farm Handwich, which combines an earthy but sophisticated Texas-style beef-brisket with a pimento-cheese sauce and some unsophisticated fries jammed beneath the bun. It's kind of goofy and novel, but it's balanced and tastes great. John: Are healthy options catching on? Norton: I think the growth in that sector of fair food exploded over the past few years. It's probably quadrupled from 1 to 4 percent of all the food out there. But seriously, if you're looking to eat and drink healthy, you've got at least a few good options. For example, the Strawberry Rhubarb Pop by Johnny Pop is legitimately fruity, refreshing and delicious. And every year we go to the fair, the Wrecking Crew winds up getting some peaches at the Midtown Global Market Produce Exchange stand, and those peaches - along with the International Bazaar mangoes on a stick - end up being among our favorite things to eat. John: Was there anything that you liked at the fair that surprised you? 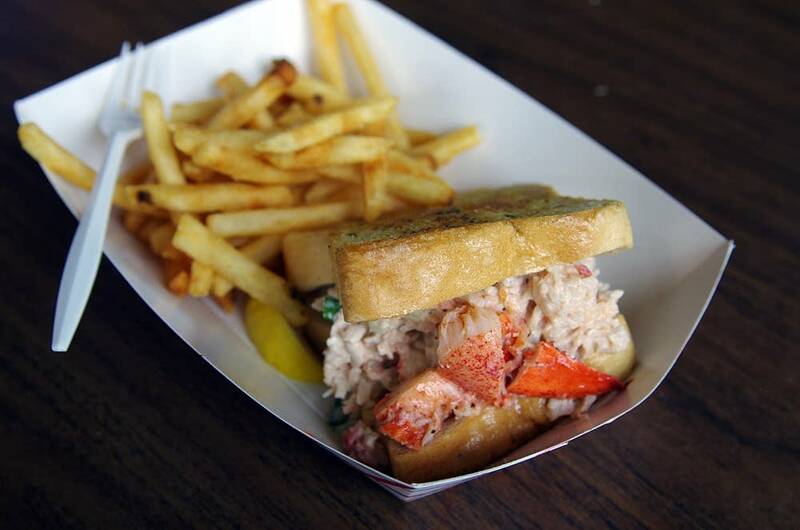 Norton: I came in loaded for bear vis-a-vis lobster dishes at the fair. There's really no reason that lobster - an ocean-going seafood of some delicacy - should be present at the fair, and last year's outright disgusting lobster mac and cheese was par for the course. But this year, Cafe Caribe served up a lobster roll that wasn't bad. And "not bad," in the context of lobster at the fair, is brilliant. It had a strong point of view in terms of depth of spice and spicy heat. While the garlic toast it was served on was kind of superfluous, at least the lobster itself wasn't chewy or gummy. It was an OK lobster roll. I say that having just gotten back from a vacation in Maine. John: Finally, why is it with all the tasty new offerings, fair goers continue to wait in long lines for certain 'old reliables' year after year? Norton: Well, I think that question goes to one of the essential truths of fair food, which is that context is really everything. For beer, that means goofy novelty beers that are light and refreshing rule the day. For lobster, anything edible becomes mind-blowing, simply because of lowered expectations. And for cookies, a bucket of mediocre warm cookies is the best thing on Earth because of where you are and hopefully who you're with. James Norton is editor of the online food magazine The Heavy Table. He has authored several books about the regional food scene, including "Food Lovers' Guide to the Twin Cities" and "The Master Cheesemakers of Wisconsin." Follow him @chowsupertaster. Steven John is a newscaster and regular substitute host for MPR News.